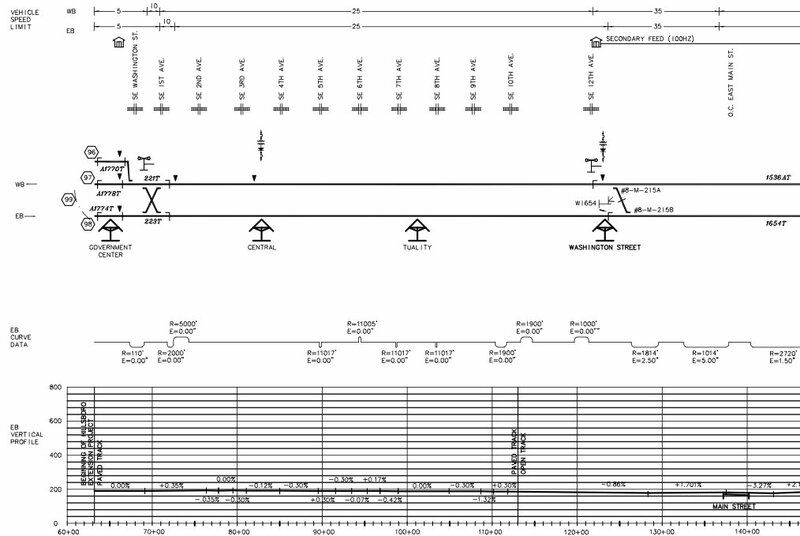 This entry was posted in alignment and tagged blue line, green line, light rail, max train, milwaukie, portland, public transit, public transportation, rail, railroad, red line, trains, trimet, yellow line. Bookmark the permalink. Darn, I was hoping this would answer one of my orange line questions, how will the overhead line(and Max Trains) cross OPRR’s line on New Water St? Wouldn’t the overhead wire be to low for OPRR train clearance? Will there be a break/coast zone? I’ve yet to find the answer! That I don’t know, I’ll see what I can find. Or maybe someone else reading here would know. A certain TriMet employee (but not directly involved with the project) says there will be a section of centenary that can be raised for over-height cars to cross. THANK YOU SO MUCH ! for enabling me to find out how steep the grades are (and how sharp the curves are) at the wanna-be roller-coaster on the Airport Line approaching/ leaving the Gateway Station – now I also know it’s known as the “fishhook”. I’ve been looking for this data off and-on since I last rode it in 2004 . . . – no luck until; I stumbled across your blog a couple months ago. FYI, it’s up on a +5.00% grade on the tangent approaching the I-84 ramps, then into a 185 ft.-long ‘summit’ vertical curve, near the peak of which a 100-ft. radius curve to the left starts, and then a -4.30% down grade into what looks like an 80 ft.-long ‘sag’ vertical sag curve to end the grade as the horizontal curve also ends just before the turnout (switch) just south of the station, where hte grade is a mere +0.167% uphill. 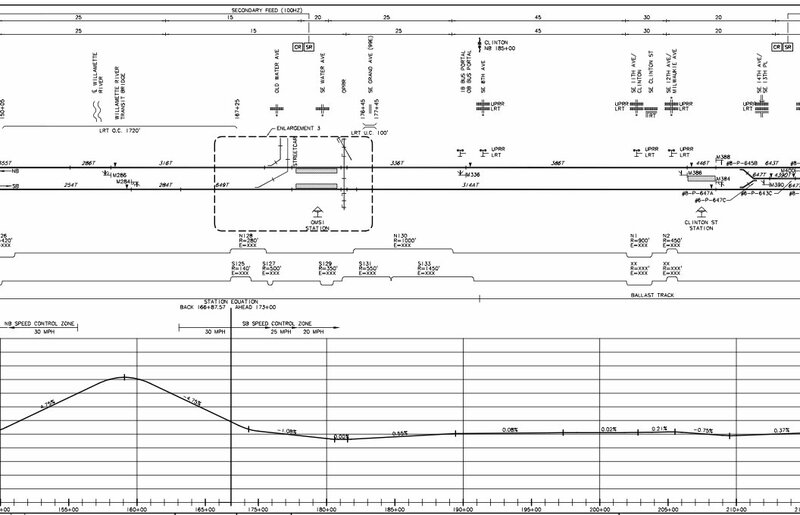 This data is shown on page 26 of 40 of the ‘PDF’ file that you linked, which is the drawing titled “FIGX19” – “AIRPORT LINE PROFILE – Figure 2-8 – Sheet 10 of 10”. When I rode it, the grades looked and felt much worse than that – perhaps because I was standing, and the vertical curves combine with the horizontal curve to produce some comparatively strong centripetal (centrifugal) and anti-gravitational forces at the same time. Now all I need are some good photos or a video showing just how it looks from the ground and inside of a MAX trainset . . .
– Paul D. North, Jr., P.E. Thanks for reading! Here is a timelapse version (not mine) that someone posted on Youtube from Lloyd Center to the airport.